It’s like the Federal Bee Reserve! A bee seeks pollen from a wildflower in Utah’s Grand Staircase-Escalante National Monument. Image credits Joseph S. Wilson / USU. Utah really deserves its nickname of the Beehive state, scientists from the Utah State University (USU) report. According to a new paper they published, the state is home to one-quarter of all bee species in the nation. Roughly half of these species live and buzz in the original boundaries of the (now reduced) Grand Staircase-Escalante National Monument. “The monument is a hotspot of bee diversity,” says USU-Tooele entomologist Joseph Wilson, associate professor in USU’s Department of Biology, paper co-author. Using opportunistic collecting and a series of standardized plots, the team collected bees throughout the six-month flowering season (for four consecutive years). Led by USU alum and researcher Olivia Messinger Carril, they identified a stunning 660 different bee species in the area. That’s “almost as many species as are known in the entire eastern United States,” she explains. Out of the lot, 49 species were previously unknown. The team also found 150 morphospecies — species which, although greatly similar to other existent species, are so different in form and structure that they’re treated as a distinct twig on the tree of life. The Grand Staircase-Escalante National Monument is nestled in the plateaus of south-central Utah, 250 miles south of Salt Lake City and 200 miles northeast of Las Vegas. Despite being quite arid — if you’ve never visited, the site is a sprawling network of arid ridges, plateaus, and canyons — the site houses over 87% of the state’s flowering plant species. Given its buffet-like offering of pollen, the Grand Staircase-Escalante National Monument plays host to a huge diversity of bees and other pollinators. Wilson explains that the researchers found all walks of bees during their study — from generalists to narrow specialists, including ground-nesters, cavity and twig-nesters, cleptoparasites, solitary and social species. Bee diversity at the site seems to peak each spring (which is pretty usual bee-havior), but also during late summer, following monsoonal rains. All in all, “it’s an amazing natural laboratory of pollinators, of which we don’t know a lot,” Wilson says. Still, the current administration doesn’t seem to agree. On December 4, 2017, President Donald Trump ordered that the monument’s area be reduced to 1,003,863 acres (4,062 sq km), a 47% decrease. Various groups have attacked the decision in court. “The large reduction of this protected areas could have implications for future biodiversity,” Wilson says. On a personal note, I think that finding such a rich — and from all indications, relatively stable — pollinator population is a very encouraging sign. Between habitat destruction and pesticide use, we’re putting a lot of pressure on such species. Should they crumble under the strain, our food production would plummet. If push comes to shove (let’s hope it doesn’t), such sites may give us the opportunity to ‘graft’ pollinators back to areas that lost them. All we have to do is not mess with it in the meantime — let’s hope we can manage that. 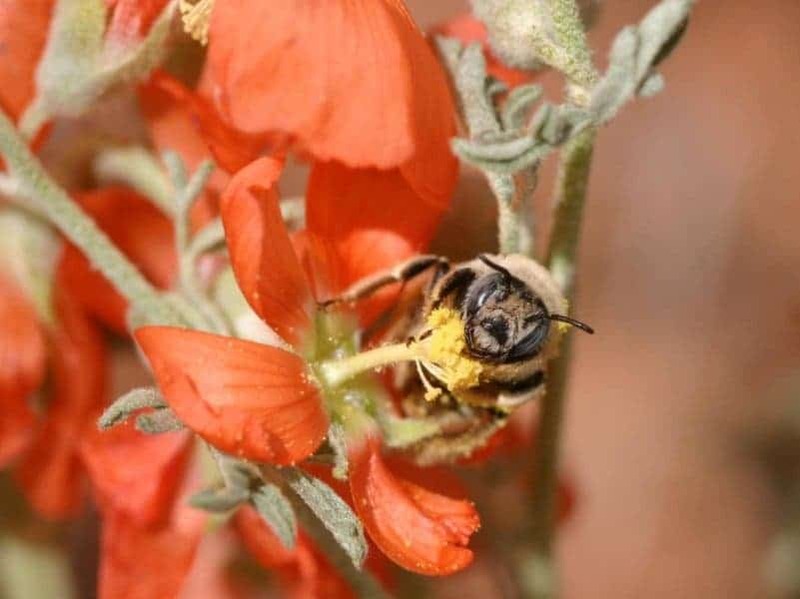 The paper “Wild bees of Grand Staircase-Escalante National Monument: richness, abundance, and spatio-temporal beta-diversity” has been published in the journal PeerJ.